Antonio Conte has confirmed that he had to be persuaded a lot in order to get Cesc Fabregas in the regular first-team positions. 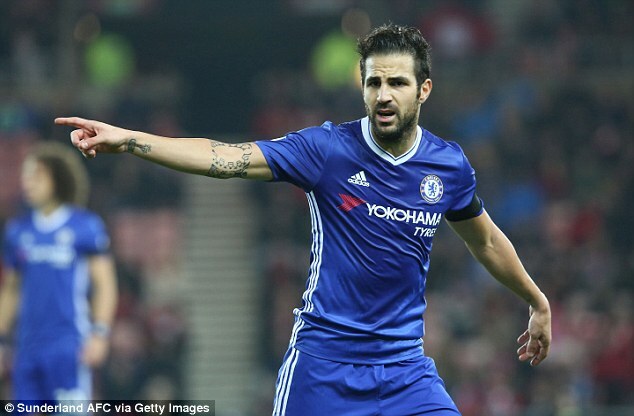 The Spaniard was not one of the first choice players when Conte initially came to the club, but this quickly changed when it became apparent that Fabregas improves Chelsea going forward on almost all occasions. Conte only used Fabregas in four starts for a period of six months when he first came to the club. Two of those starts were surprisingly in the League Cup. It showed the extent of Fabregas’ importance to Chelsea under Conte. However, this has all changed in recent years with the 30-year-old now an instrumental part of the blues. He has played in close to 1200 minutes of action in the league while he has featured in all of the six Champions League group matches to date. This transformation has been brought about by the impressive performances of Fabregas going forward. This season, he has come up with four assists and two goals in 23 competitive matches across the Premier league and Champions League. While this is not impressive, his past performances have led to immense success at Chelsea. In just 13 starts last season, Fabregas came in with five goals and 12 assists. 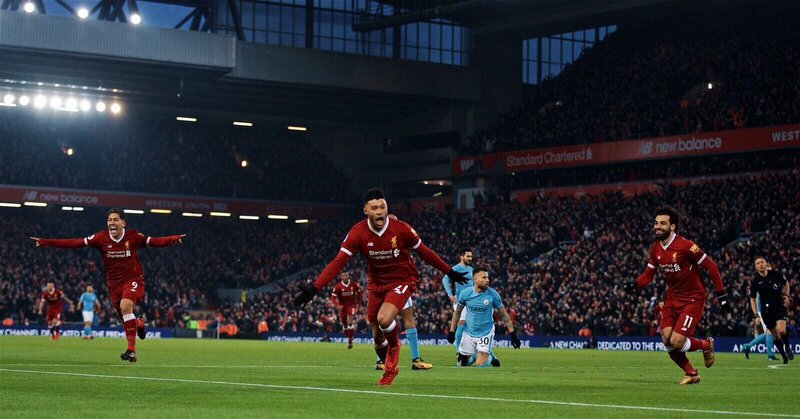 It wasn't so long ago that Alex Oxlade-Chamberlain was resigned to being a bit-part player at Arsenal and many wondered if he would ever fulfil the potential that prompted Arsene Wenger to part with £15m for his services back in 2011. At the time, ‘the Ox’ was still 18 years old and the world naturally assumed that he would need time to develop; North London was seen as the perfect environment for that to happen. After all, Wenger had built a reputation for unlocking potential in young talent. However, things never quite panned out as expected and the midfielder never fully established himself as a first-team player at the Emirates. 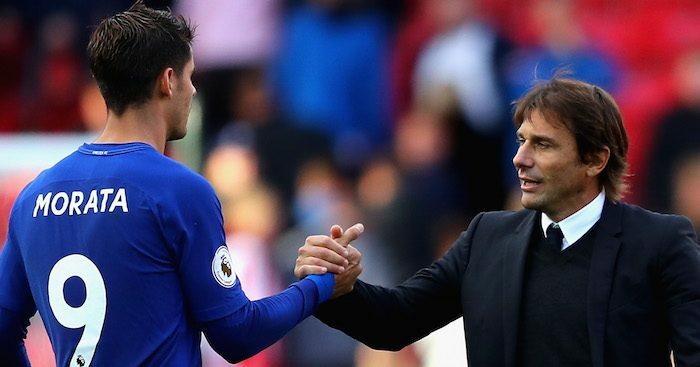 Former Chelsea forward Chris Sutton insists that Antonio Conte should take the blame for the Blues' mini-crisis in the forward department. The Premier League holders have suffered back-to-back league defeats to Manchester City and Crystal Palace, and this sees them nine points off the summit after just eight games into the season. Top-scorer Alvaro Morata is back in first-team training after recovering from a hamstring problem, but Sutton doubts whether the Spaniard can handle the overload through the Premier League campaign. The 24-year-old was a regular substitute during his time with Juventus and Real Madrid, and Sutton feels the Champions League winner cannot be relied upon as the sole striker. Joe Cole is under no illusions as to Cesc Fabregas’s continued ability to impact a game. Cole came up against Fabregas many times when he played for Chelsea, whilst the Spaniard was wearing the colours of Arsenal. Those heated London derbies were fast-paced and didn't leave room for the faint of heart. Joe Cole’s career may be in the twilight period and at 36, playing in the MLS for the Tampa Bay Rowdies, it’s clear to see the Londoner's best days are behind him. The same can’t be said for 29-year-old Fabregas, who Cole thinks is every bit the class act he was when they use to come up against each other. Cole called Fabregas a diamond and thinks that the former Barcelona man doesn't have an equal in the league –apart from possibly David Silva. Former Arsenal midfielder Stewart Robson has hailed the performance of Aaron Ramsey, who dominated the midfield during the Gunners' goalless draw against Chelsea in the London derby on Sunday. Arsene Wenger's side had lost their previous five outings at Stamford Bridge, and they managed to avoid a similar result after they put in a solid performance from the back. Speaking on ESPN FC, Robson admitted that Cesc Fabregas initially got the pick of things as he provided a stellar pass to Pedro, who failed to get the ball past Petr Cech. However, as the game went on, Ramsey started closing down on the 30-year-old, and this restricted his movement in the forward direction. Chelsea midfielder Cesc Fabregas has paid tribute to compatriot Diego Costa after he sealed his proposed move to Atletico Madrid. 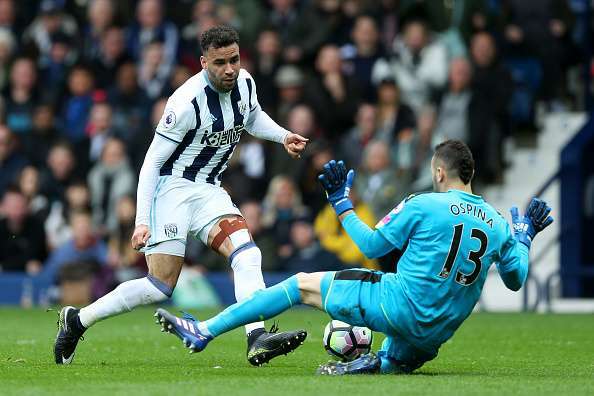 The Spain international, however, added that it is a shame for the 28-year-old as he would have to spent the next couple of months away from the playing field. Costa had made his mind up to join Atleti in early June after Antonio Conte privately texted the Spaniard to state that he does not feature in the Blues' first-team plans. The marksman followed to spent the next couple of months in his native Brazil with a personal trainer, although he was spotted playing beach football with his friends on a number of occasions. 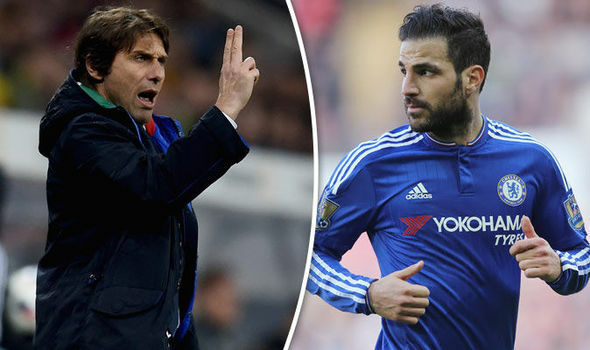 Antonio Conte has given a word of advice for midfielder Cesc Fabregas to have a regular place in the Chelsea first-team. The Spaniard was surprisingly preferred over Nemanja Matic, who ended up leaving the club for Manchester United in a £ 40 million deal. However, Chelsea have quickly strengthened the competition in the middle of the park by bringing in Danny Drinkwater from Leicester City for £ 35 million. 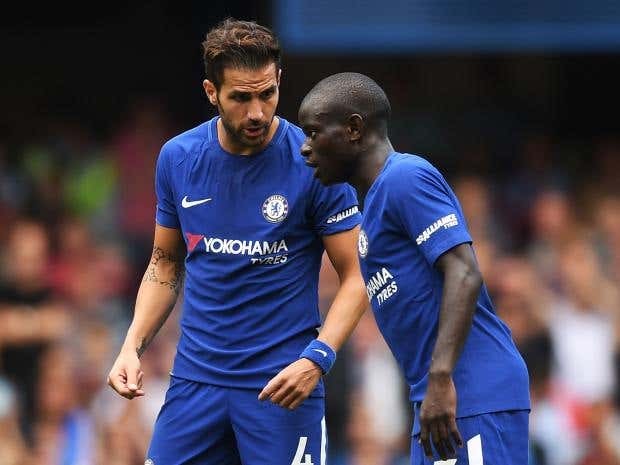 As a result, Fabregas is expected to have a tough competition in the midfield with the likes of N’Golo Kante and Tiemoue Bakayoko fighting for a place alongside the newly recruited Drinkwater. 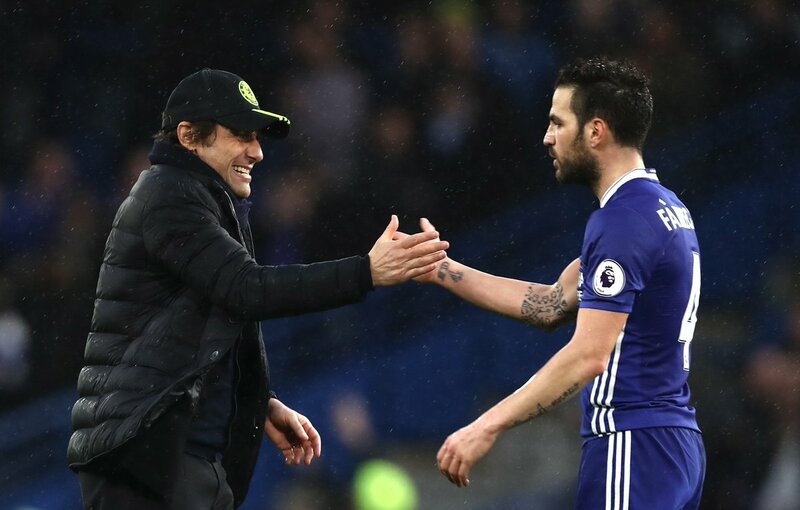 Chelsea manager Antonio Conte has heaped praise on midfielder Cesc Fabregas, who he feels could earn a prominent role in the Blues setup next season. The Spain international was often left frustrated last season as he found himself behind the likes of Nemanja Matic and N'Golo Kante for a place in central midfield.